Bluetooth: Auto Answer: On/Off, Auto Connect: Yes/No. 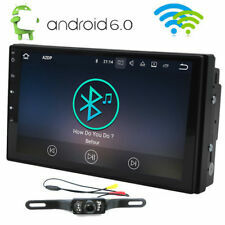 - A2DP (Bluetooth Stereo Music): Yes, can play stereo music through Bluetooth. - Bluetooth IC: Integrated. - Compatible Format: DVD, DVD-R/RW, HDVD, MP3, MP4, CD-R/RW, VCD, DIVX, WMA/JPEG. A2DP (Bluetooth Stereo Music): Yes, can play stereo music through Bluetooth. - Radio Tuner: FM/AM. - Radio response bandwidth: AM:522~1710 KHz, FM: 64~108 MHz. - 1 Power Cable with Radio Antenna Adapter. Painted black to match factory dash. 2007-2008 Honda Fit. 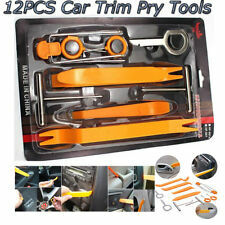 MAKE SURE YOUR VEHICLE IS COMPATIBLE WITH THIS KIT. WE WILL TRY TO FIND THE CORRECT KIT FOR YOUR VEHICLE. Will accommodate DOUBLE DIN or Dual ISO mount. 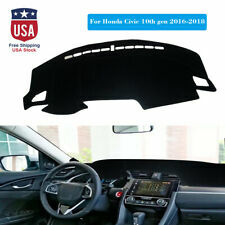 Item Fitment: Fit for Honda Accord 2018 2019 Item Description : Condition:100% Brand new Never used 1pcs (Sold as seen, please ensure suitability carefully before purchase) Material: felt fabric Color : black Made in an ISO 9001 facility to ensure good quality. Easy installed and No modification needed If you have any problems,please kindly email us and give us a change to help you before you leave any feedback,and we will get back to you within 2 working days,thank you so much!. When replacing your factory radio with an after-market car stereo, a wire harness is a must for a quick installation. It eliminates cutting your OE radio plug helping to maintain your cars value. After connecting it, your install is simple as the wires will color-match and easily connect to the after-market stereo. 3D Maxpider. Choices of stylish carbon fiber texture rubber surface or classic looped fabric surface. Simply replace old / worn Floor Mats with new / improved MAXpider Floor Mats. (x1) Classic Black Floor Mat. The stereo currently has Android 8.1 Go installed on it, in the English language. Sound quality is great. 720p touch screen. It uses the factory wire harnesses for speakers power and radio. Supports file transfer via USB, Bluetooth connectivity, video playback, radio playback, audio in/out, video in/out, and more. Features:Screen display: 6.2 inch touch screen, support global positioning navigation.Support video format: RMVB/RM/FLV/3GP/MPEG/DIVX/XVID/DAT/VOB/AVI/MP4, etc.Support audio format: MP3/WMA/OGG/APE/AAC/FLAC/WAVFunction: Support setting menu language, automatically converts colorful lights.24-hour digital clock, date.Charging function: The supported output power can be used to charge mobile phones or other USB devices.Support storage device: U disk / TF card deviceAUX audio input, Reverse image,&nbs. Trending at $85.52eBay determines this price through a machine learned model of the product's sale prices within the last 90 days. This item is the XUKEY® dashboard mat, which is unique in that it does not have a hard backing. The advanced fabric not only breathes, it also absorbs unwanted toxins that are emitted from the vinyl of the dashboard, which can cause discolouration if left trapped underneath the dashmat. AM FM Radio mp3 CD Player with Aux Input. This radio has been cleaned, upgraded, serviced as needed and thoroughly checked. Appearance is as pictured, with a small blemish on the screen and slight scratches around the face. AM FM Radio mp3 CD Player Auxiliary Input. This radio has been cleaned, upgraded, serviced as needed and thoroughly checked. This radio has been cleaned, serviced as needed, and thoroughly checked. Appearance is as pictured and function is perfect! If yes, the stereo fit for your car. ★ Bluetooth version:V4.0. ★ Support Bluetooth audio music and hands-free calls. ★ FM Frequency: FM-AM 87.5MHZ-108MHZ. ※ Does this stereo fit for my car ?. ★ Support Audio format: MP3/WMA/WAV/FLAC. If yes, the stereo fit for your car. This one with the latest tech MIRROR LINK. ※ Does this stereo fit for my car ?. MIRROR LINK for both Apple and Android phones. ★ This one with the Lastest techMIRROR LINK. Radio Code will be included! Head Unit has been tested to ensure proper performance. Dash Designs Poly Carpet Custom Dashboard Mat Dash Cover. Fight back against the damaging rays of sun with a Dash Designs Poly Carpet Custom Dashboard Cover. Material: Dash Designs Poly Carpet. Dash Designs makes your Poly Carpet right here in the USA from the highest quality materials available. Will fit and work in your Honda Fit 2015-2016. The part listed is used, but in good condition. Alaska Puerto Rico and Hawaii are not included. Dashtex is one of our most popular choices, striking a great balance between appearance, durability and value. Dashtex sports a subtle pattern, giving it a rich look, while providing your vehicle’s dashboard with all the protection it will need from the Sun’s heat and harmful UV rays. Custom SUEDE Dash Cover. 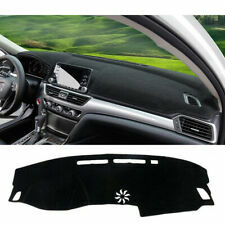 Sample Photo of a Dash Cover (not specific to your vehicle) enhance a vehicle's interior. A proper fitting Custom Dash Cover will soften. Dash Covers are a popular accessory in the sunbelt states to combat the. Radio Code will be included on invoice. Head Unit has been tested to ensure proper performance. 3D Maxpider. Choices of stylish carbon fiber texture rubber surface or classic looped fabric surface. (x1) Kagu Black Floor Mat. Simply replace old / worn Floor Mats with new / improved MAXpider Floor Mats. Stereo/Radio Dash Faceplate Harness Antenna Adapter Kit. Antenna Adapter : Needed when replacing a factory radio with an after-market car stereo, many cars need an Antenna Adapter that will plug into factory antenna cable (Required to Receive FM signal). 3D Maxpider. Choices of stylish carbon fiber texture rubber surface or classic looped fabric surface. (x1) Kagu Tan Floor Mat. Simply replace old / worn Floor Mats with new / improved MAXpider Floor Mats. Support bluetooth audio music. - Support TF card, Aux, radio function. FM Frequency: 87.5-108MHZ. - Support radio. - High sensitive touch screen. Type: Vehicle MP5/MP4 Player. Screen Resolution: 1208 x 720. 3D Maxpider. Choices of stylish carbon fiber texture rubber surface or classic looped fabric surface. (x1) Kagu Gray Floor Mat. Simply replace old / worn Floor Mats with new / improved MAXpider Floor Mats. 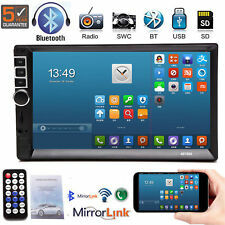 √5 Years Warranty √2DIN √AM AUX FM USB SD BT√ MP3 Mp4 MP5 RMVB. 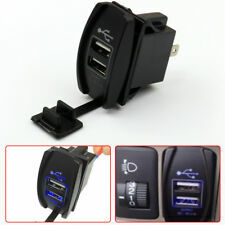 ★This model support mirror link function for android and ios phones via usb cable. 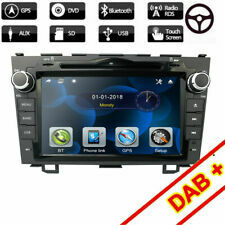 Interchange Part NumberDouble 2din 6.2" Car Stereo. 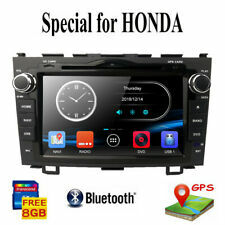 Other Part NumberDouble 2din 6.2" Car Stereo. ★The DVD is installed in the standard car-mounted position of the original car dashboard. 2015 - 2016 - 2017 --. This radio has been cleaned, serviced as needed, and thoroughly checked. AM FM Radio Single Disc CD Player with Display Screen. The radio you receive will be as pictured and described. Features:With silver trim, Plastic. You can rest assured that all the parts we carry will fit the vehicles that are listed. Ekus Parts does all the research for you. But, occasionally problems arise. Honda Fit 5AT FIT-S 2009, 2010. -Life is life and issues arise; people make mistakes. Support bluetooth audio music. FM Frequency: 87.5-108MHZ. - Support TF card, Aux, radio function. - Support radio. - High sensitive touch screen. Type: Vehicle MP5/MP4 Player. Screen Resolution: 1208 x 720. Dash Designs Sedona Suede Style Custom Dashboard Mat Dash Cover. This is a premium Dash Designs® fabric. Sedona Suede has a unique perforated surface pattern that provides a soft feel and a luxurious appearance. 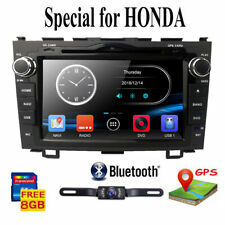 Factory Honda radio Bluetooth/ touch screen/ Off: 2015 Honda Fit EX Model number: 39100-T5R-A11-M1 Should fit 2015-2016-2017 Honda Fit Radio code not included but can be given to you by your local Honda dealer. Please note that items may need additional programming/accessories to work with your car. May not be plug and play. Please not Item is used and may show signs of it. Overall Item is in good working condition. Buyer is responsible for product fitment please compare part numbers. Ask you mechanic/dealer before purchasing. Any question or need other parts please feel free to ask. Honda Fit 2009-2014 Gray Carpet Dash Board Cover Mat Pad Custom Fit HO45-0 --- Carpet Dash Cover for Honda Fit 2009-2014. --- Custom Made for your vehicle. --- This listing is for one dash cover. --- The listing is for a Gray dash cover if you would like to change the color to one of the other colors pictured please put it as a note at check out or you can send us a message to notify us of a color change. 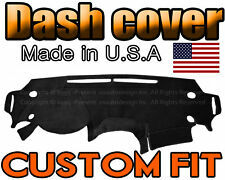 --- Please note as these dash covers are made when ordered any color changes must be immediate. --- Protect your dash board from the suns harmful UV rays. --- Proudly Made in the USA. --- Easy Installation. --- Please note that we do cover any speakers grills that are located on dash board as we feel that the speakers need to be protected from the suns harmful UV Rays. --- Does NOT have cut outs for any sensors on dashboard. Our dash covers take in effect all air vents, sensors, airbags, dash trays and cup holders, and all other necessary functions on the dash (dash speakers get covered as that is generally the first part of the dash that cracks due to heat, speaker sound penetrates through the dash as though it wasn't there). Mirror Link FunctionSupport ios&android Phones. ❤ And this model support mirror link function for android and ios phones via usb cable. MIRROR LINK for Apple and Android phones . Interchange Part NumberDouble 2 Din Car Stereo.